Can you believe the holidays are almost here?? Christmas decorations up, holiday music blaring from the speakers..and GIFT OVERLOAD. It seems year after year we struggle to find the most special people in our lives, well, extra special gifts. Do you have that dilemma? When Amazon just won't cut it, good news we've got ya covered. 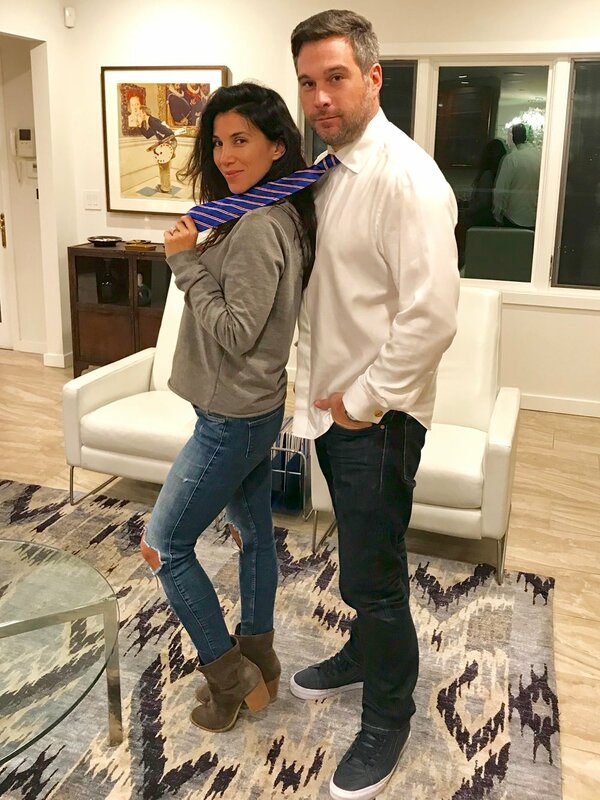 Ladies, you can knock one item off your to-do list because we're letting you in on the best kept secret for your man -- The Statesman Tie...more than just a necktie. In other words, it's a personalized tie marking a destination or state your man has a connection to. For example, my husband Scott lives in California, and loves his two little ones so I snagged him the California Tie-with the California brown bear on the front and on the back -- close to his heart -- we embroidered Sonnet and Gibson. Alright now for some quick fun facts: The customized ties will run between $32-$40. And here's what it includes: The option to have a customized message added to the back of the tie. Each message can contain up to two (2) lines of text, in multiple languages, with a maximum of 21 characters - including spaces - on each line. The embroidered message is with white thread on a black tag and then hand sew it on to the tie.